Pretty much the title, my favourites from back then were Turnabout of Courage and Pairs, loved both of them! Sardanapalos wrote: Best cases I've missed! I would also recommend Two Sides of the Same Turnabout. If you like crazy puzzles, don't mind filler-sprites (a lot of characters use canon character sprites but aren't those canon characters), and love the kind of mystery that turns everything on its head, it's for you. Notes: Has OCs. I would also recommend Turnabouts of the Father and The Assistant's Turnabout. Both are a fair bit darker than most AA stuff, one is an AU, and you'll have to play them on the V5 player, but I considered them very good. Both emphasize character and story, although Turnabouts of the Father utilizes an unusual game mechanic that some fear, but most have agreed was executed well in this case. Notes: Grimdark. Inboubarashi-hen is a new release and is a Higurashi crossover, but I played it with little to no knowledge of Higurashi and enjoyed it greatly. It's a very creepy horror and has some great character arcs and plot. Notes: Has OCs. The Normal Turnabout is another recent release and is the most Ace Attorney-esque case out there. It's pretty short, and has one of the most insane twists I've ever seen in a case, so you should look into it for that at least. Notes: Short, and the puzzles aren't the craziest out there. Is is conceited to recommend my own case? 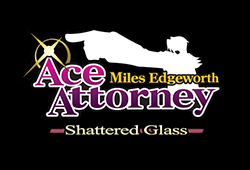 I released The Broken Turnabout, and it's another case with an Ace Attorney tone and feel. If you like cases that try to examine canon events and characters, and don't mind if the case emphasizes story and character development over puzzle and mystery, this one's for you. Notes: Only one or two true puzzles. 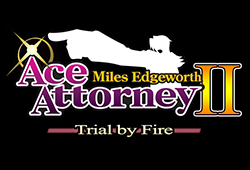 [http://aceattorney.sparklin.org/forum/viewtopic.php?f=15&t=8252]Turnabout Curtain[/url] is not an AAO Engine case, but a Pywright case, though it DID get its start as an AAO case. It's a dark AU and involves a twist that not all agree with, but if you like plot, character development, and want to see an in-depth examination of Phoenix Wright (Hobo Phoenix in particular), it's something you should look at. Notes: Phoenix is definitely Hobo Phoenix here, not DD Phoenix. 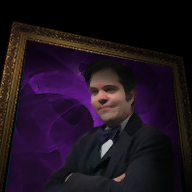 [http://aceattorney.sparklin.org/forum/viewtopic.php?f=15&t=9451]Phantasmagoria of Betrayal[/url] is a comedy-oriented case and parodies certain AAO trends. Try it out after playing a handful of grimdark cases on AAO. Notes: Has inside jokes. Zodowk Zark is another comedy case, and I'd say that it might be the funniest Ace Attorney fancase I've ever played ever. However, it provides very little backstory and plot for its characters, and is in no way a puzzlebox. If these are major turn-offs, it's not for you. If, however, you're still willing to give it a try, give it a whirl, and hopefully it makes you laugh. Notes: Set 100 years in the future. There are definitely a LOT more I should mention, but this is a decent list thus far, I think. Hope it helps! I just got started with it, your 2 previous cases were amazing so I'll probably pull off an all-nighter. Little ninja edit: I just noticed the small Ace face on the card Wright's holding. Calvinball wrote: I would also recommend Two Sides of the Same Turnabout. If you like crazy puzzles, don't mind filler-sprites (a lot of characters use canon character sprites but aren't those canon characters), and love the kind of mystery that turns everything on its head, it's for you. Notes: Has OCs. Woah, I wasn't expecting such a dedicated answer to be honest, thanks for all the effort you put into it! After I'm finished with Bad Player's case I'll start checking these out. Thanks a ton again! Can't go wrong with the featured trial list (as far as the more recent titles go anyway, some were somehow added before quality inspections were required). I'd say look through that and see if there were any trials started or released in the past two years that you haven't played.